Living on 'Millionaires Row' - How Our Winter Bungalow Deal Saved Us Money Whilst Motorhome Touring in Europe? During our first week at Camping Los Escullos we did stay in our motorhome as we had planned to do. We checked in using our ACSI discount card, making use of both the discounted rate (16 Euro per night) and the 7 nights for the price of 6 offer to bring our first 7 nights in at an average cost of 13.70 Euros. However, if we'd chosen to stay for more than 30 nights the average cost per night would have come down to just 12.50 Euros. Not bad, we thought, some motorhomes aires we'd found cost more than this and considering that this included power, access to hot showers, washing facilities and a range of other campsite extras ('treats': free wifi, a gym, sports facilities, yoga, tai chi, dance classes etc) and we decided we'd probably stay for that first month, combing our camping and diesel budget to cover the cost over winter. We did realise that we could save even more if we "wild camped" instead in beach front car parks as we'd seen some others trying. However, we'd also spoken to some of them about how frequently they got moved on and how safe they felt leaving their motorhomes whilst going off all day and decided that we quite liked the idea of a more relaxing stay over winter instead. For us, feeling the motorhome was safe when we were out, hiking or biking, having space to spread out without having to pack everything away ready to move on quickly all the time, plus the fact we knew with Christmas we might have visitors coming, given the long stay rates available, this seemed a sensible choice at this stage of our adventure. But, as we settled in for our longer stay, it was a chance conversation halfway through our first week which made us consider another option as well. We got chatting with some fellow campers staying in one of the static "mobil-homes" or "bungalows". They told us that the cost of their mobile home was just 450 Euros for a one month stay or 800 Euros for a 2 month stay. They also told us how they'd stayed in different mobile homes, chalets and bungalows like this every year in different areas. Apparently Spanish campsites are full of deals like these, some as cheap as 350 euros a month! To us it was a no-brainer. Why not move into the mobile home?! We went straight to reception and booked in for the rest of our first month, with a fairly good idea that we'd probably stay for 2 months. A few days later we'd shifted our few possessions into our new winter home, just in time for Christmas. It was a wonderful feeling to spread out again and really put down some temporary roots. Looking back now it was the best decision we could have made. In addition to all the creature comforts we've been able to host a family visit, relax and stay dry through a handful of storms and generally relax at a time of year when the rest of Europe is a bit chilly. It's been wonderful. Unsurprisingly, for anyone touring in a tent, caravan or motorhome moving into a mobile home might sound like a more expensive option. In fact we've even had some fellow campers we'd met that first week ask us "how is it on millionaires row". We would have thought the same thing if not for our chance meeting and would never have thought to ask when checking in. But, as we've explained to others, on the face of it over 2 months it's only cost us another 25 euros in total over the campsite pitch fees and the truth is even better. We estimate we've actually saved more than that. For a start we've saved a good amount on gas heating and cooking. In 2 months we haven't used a drop of our motorhomes LPG supply. Normally we'd expect to have gone through at least 1-1.5 bottles by now at a cost of around 30 euros. Small silly things like we've also saved on toilet fluid which normally costs us 2 euros a week on average. Even these few small things add up to around 50 euros already and that's before considering 2 months of wear and tear on the motorhome we've saved. Moving into our mobile home, we feel, really has been a great way of saving money. On top of the handful of savings this campsite has provided in general such as free toilet paper (another 2 euros a week), free WiFi (this and Skype is saving us at least £20 a month from our mobile and internet budget) and we also save on laundry costs as we hand wash everything, even the large things like bedsheets as there are good washing basins provided and drying lines. Obviously everyone's lifestyle is different and we're loathe to ever give specific details on costings as we strongly believe how much individuals spend is really down to them. Our believe is that you can tour on any budget - you decide on how much and on what you want to spend. However, we wanted to share our experience as we would never have considered a mobile home as an option or even thought to ask. It has opened our eyes to a different possibility for anybody who is considering an extended stay in a winter destination. Whether you want some space to spread out on a longer motorhome tour or you want to have a cheap winter stay without owning a motorhome or caravan, its worth investigating whether campsites in the area your considering visiting offer these long stay bungalow deals, as from the guides we've seen there are plenty that do, and working out whether they are the same or cheaper. Just a few simple sums can reveal whether it will actually save money, as it has done us in this instance alongside allowing us to have a novel, fun and relaxing winter in this beautifully quiet part of Spain. 1. We strongly believe that touring costs whatever you want it to and that you set your budget in line with what trade-offs you are willing to make on your own trip. However we've included these numbers only to illustrate how we feel that living in the bungalow these past 2 months has in fact saved us money despite the outlay for the bungalow rental. 3. Obviously the exchange rate has varied throughout our journey, increasing from 1.20 to currently 1.34 (euros to 1GBP). We haven't gone back and converted all the costs but instead to make the comparison in the table more indicative of the actual savings we have used the exchange rate of 1.26 which we got on average during our first 6 months to convert the costs we spent in the last 2 months as supposed to the actual rate we got on each transaction. We actually save a lot more money but this was due to the favourable change in the exchange rate. Travel insurance and Motorhome overheads are not affected as they are paid in pounds. 4. Our fun budget, mostly stamps for letters home, was less than before because we did more things for free, we had the novelty of living in a bungalow and because the campsite offered many free 'treats' including paddeltennis courts, library, gym, yoga, dance and tai chi classes. 5. As we only had access to food once a week at the market and prices were so good there we have found that our food bill has been much smaller. Although we could have driven to supermarkets further a field we found that proper planning we had no need to. We actually found it very satisfying to eat up everything we had just as market day came round again. But we also saved money in this category by not having to spend on certain toiletries as mentioned above and these small savings added up over the course of our stay. 6. We had visitors staying for 2 weeks and we cooked every evening. We have estimated and made a small adjustment to our actual 'food' expenditure to account for this so that a fair comparison could be made with our 6 month average spend. 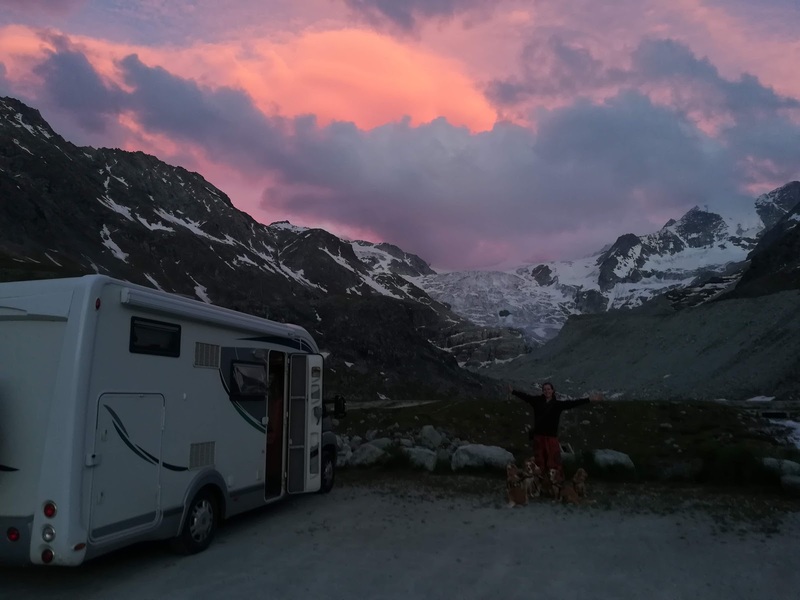 Adventures In Life, Love, Health & Travel: Living on 'Millionaires Row' - How Our Winter Bungalow Deal Saved Us Money Whilst Motorhome Touring in Europe?